A party litigant who was seeking to reduce a will has had an application for permission to appeal against a sheriff’s decision to dismiss his claim and award expenses to the other side rejected. A judge in the Court of Session refused leave to appeal after ruling that the grounds of appeal were “without merit”, adding that there was no other “compelling reason” to hear the appeal. Lady Clark of Calton heard that the applicant Wesley Mitchell raised proceedings against Hugh Somerville and another at Edinburgh Sheriff Court as a party litigant in which he sought inter alia decree reducing the wills of Willamina Scoular Waugh. He was granted leave to amend his pleadings but found liable for the expenses of the debate. A further continuation was granted to the pursuer in September 2016, but the pursuer failed amend his pleadings. At a hearing in December 2016, the defenders sought and were granted summary decree for dismissal – the sheriff having considered that the relevant Ordinary Court Rule 70.2 was satisfied – while the the pursuer’s objections to the audited account were also rejected. The pursuer appealed to the Sheriff Appeal Court but in April this year his appeal was refused and expenses were awarded to the defenders. The following month an appeal sheriff refused leave to appeal to the Court of Session and awarded expenses to the defenders, prompting the pursuer seek leave from Scotland’s supreme civil court. 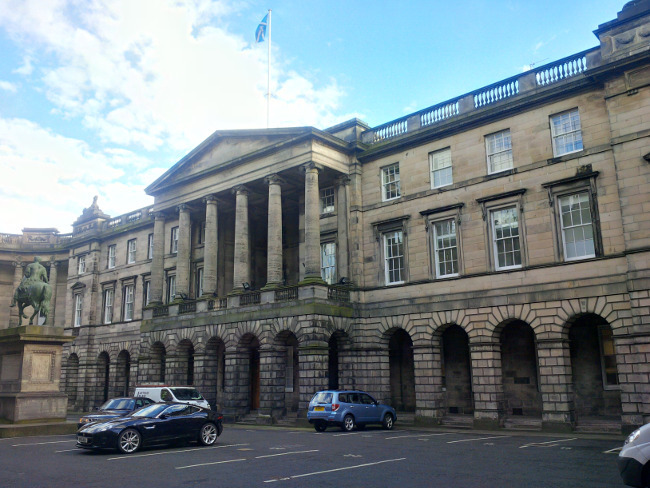 In terms of section 113 of the Courts Reform (Scotland) Act 2014, the Court of Session may grant permission to appeal against a decision of the Sheriff Appeal Court constituting final judgment in civil proceedings only if this court considers that: (a) the appeal would raise an important point of principle or practice; or (b) there is some other compelling reason for the Court of Session to hear the appeal. In his written application the pursuer argued that the appeal raised an “important point of principle or practice” as he was denied the opportunity to be legally assisted, thus denying him justice in what was a “complex case” in terms of fact and law. There was, it was said, a “compelling reason” for the Court of Session to hear the appeal because the applicant has been “denied justice” in the Sheriff Court. The pursuer highlighted the difficulties he had encountered as a lay person and the efforts which he had made to obtain legal aid, explaining that he thought the court would not determine the action because his application was still being processed. The applicant, as the paying party in an award of expenses, also argued that he was denied the opportunity to present objections at diet of taxation, where crucial information was “withheld”. In summary, the pursuer sought to rely inter alia on the absence of legal assistance in a complex case; an outstanding legal aid application which he claimed had “reasonable prospect of success”; he was awaiting an opinion of counsel; and that there was misunderstanding about his legal aid status which resulted in the dismissal of the action on 9 December 2016 thereby denying him justice and creating a “collapse of fair procedure”. The main submission by counsel for the defenders was that the pursuer failed in respect of both grounds of appeal to raise any issue of principle or practice to satisfy the relevant section 113 appeal test and for the reasons set out in his written application the proposed grounds of appeal were “wholly without merit”. In a written opinion, Lady Clark said: “In the present case it appears that the pursuer has raised proceedings for reduction based on pleadings and materials which require to be properly assessed by a lawyer to consider whether there is a proper legal foundation for such an action and how that should be reflected in the pleadings. “As presently drafted, the pleadings in my opinion are not in a proper form to proceed to a proof and found an action of reduction of various wills. The pursuer was given time and opportunity in the Sherriff Court to amend the pleadings and has failed to do so. Months have passed in this litigation. “I consider that the proposed Grounds (4.1) and (5) of Appeal are without merit. In relation to Grounds of Appeal (2) and (3) directed against dismissal, it appears that the pursuer chose to embark upon what he himself considers to be a complex action in circumstances which he concedes that there has as yet been no proper legal assessment. In relation to the ground of appeal insofar as relevant to taxation issues, the judge was unable to identify any legal error raised by the pursuer which undermined the sheriff’s decision making. She added: “In any event even if I was persuaded, which I am not, that there are arguable grounds of appeal, the application does not satisfy the terms of section 113 of the 2014 Act. “The appeal grounds identified by the pursuer are all fact specific to this particular action and relate to issues of judicial discretion and expenses where considerable judicial latitude is permitted.